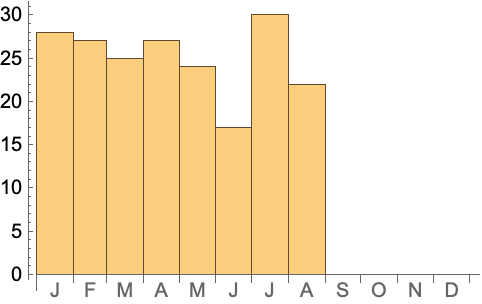 is an option for DateHistogram that specifies the length for cyclic periods of time. 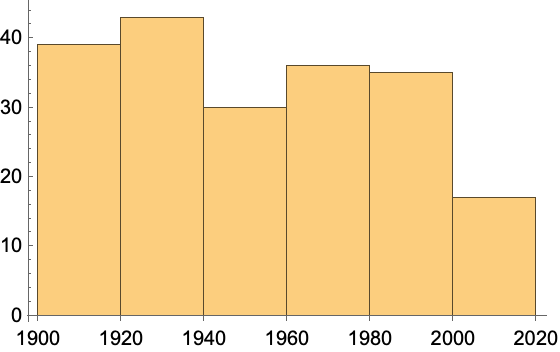 The setting DateReductionperiod is used to indicate the period of time that will be binned, e.g. 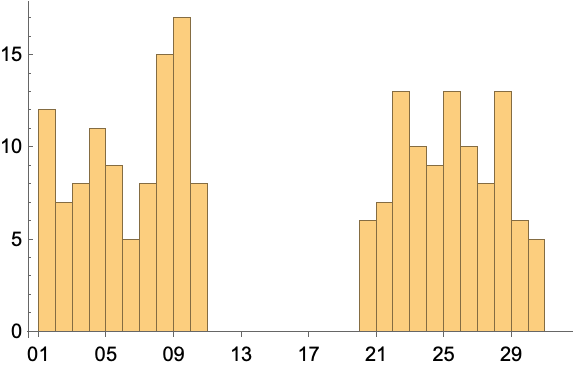 DateHistogram[data,"Day",DateReduction"Week"] gives a histogram with seven-day bins, where events on each day may come from different weeks.